Most people don’t think of deer as dangerous, but when it comes down to it, they’re still wild animals. 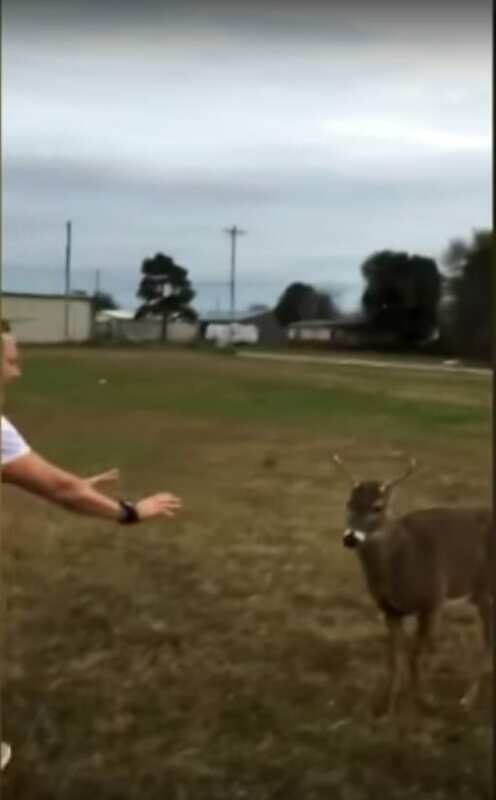 A man in Shawnee, Oklahoma, learned that earlier this month when he was suddenly charged by a buck. 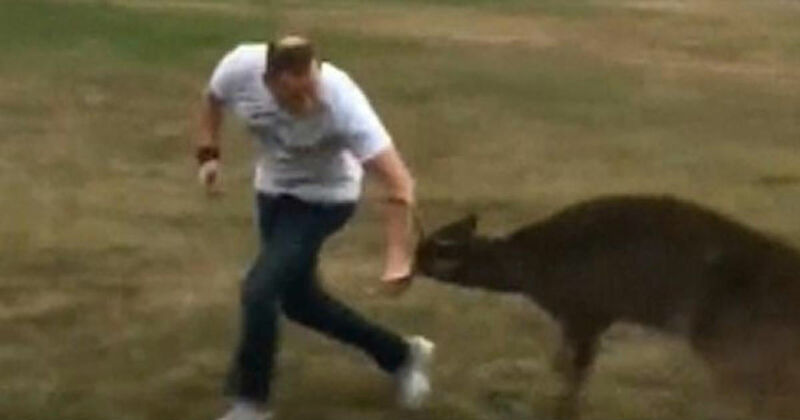 Travis Hurst was forced to grab the deer’s antlers to avoid being gored. Video shows the buck bowing his head and rushing Hurst in a typical attack move, trying to stab him in the stomach and legs. Hurst managed to avoid severe injuries by grabbing the buck’s antlers and snout to force him away. But he admits that he was out of his league. Hurst, a pastor, was setting up a bonfire for a church event when the buck appeared. Although no one present harassed or startled it, he began to rush them. It’s an unusually aggressive move for a deer, who generally don’t attack unless provoked. The reason might be that it’s currently mating season for deer. Bucks are searching for does and are more attuned to human presence than usual — and a little more protective of their territory. Bucks fight one another during mating season, so it’s only natural that their tempers are high. “He’s going to try to act like a big bad deer and if he thinks we are a threat, then he’s going to treat us just like he would a big buck out in the woods,” said Capt. Wade Farrar of the Oklahoma Department of Wildlife. Farrar agreed that this particular deer has probably had extensive contact with humans. He may have even been raised among them. That would explain his lack of fear of bigger predators. Onlookers reported the incident to the Department of Wildlife, who was able to tranquilize the buck to safely move him to a more isolated area, away from areas heavily populated by humans. As for Hurst, he has some moderate injuries, but for the most part, he’s doing all right. “I’ve had a lot of people call and check on me, ask me what happened because the video doesn’t tell what happened but he’s OK and I’m OK,” Hurst said. Although deer are, for the most part, relatively docile toward and skittish of humans, it’s important never to engage them aggressively. Especially during mating or fawning season, they can become aggressive. And it’s not difficult for them to cause damage with their antlers and hooves. A 72-year-old hunter in Fond du Lac, Wisconsin, learned the same lesson back in 2015. In a bizarre encounter, he managed the hit and wound the doe with a crossbow and came back several hours later to try to follow the wounded deer’s trail. But the doe wasn’t yet dead, and she hadn’t forgotten the hunter. The man’s condition wasn’t extensively reported, but it is known that he was transported to the hospital for his injuries. Deer attacks occasionally rise in populations. Back in 2005, for example, many people were baffled by the sudden uptick in deer attacks on people who weren’t provoking or engaging them at all. Deer were rushing people in their own yards and gardens. Some experts think that as human neighborhoods develop and expand, encroaching on animal territory, deer may become more aggressive. Of course, most of those people weren’t engaging the deer at all. Then there was Lynn Chestnut, a Washington hunter who was lucky to escape with minor injuries after antagonizing a buck back in the late 2000s. 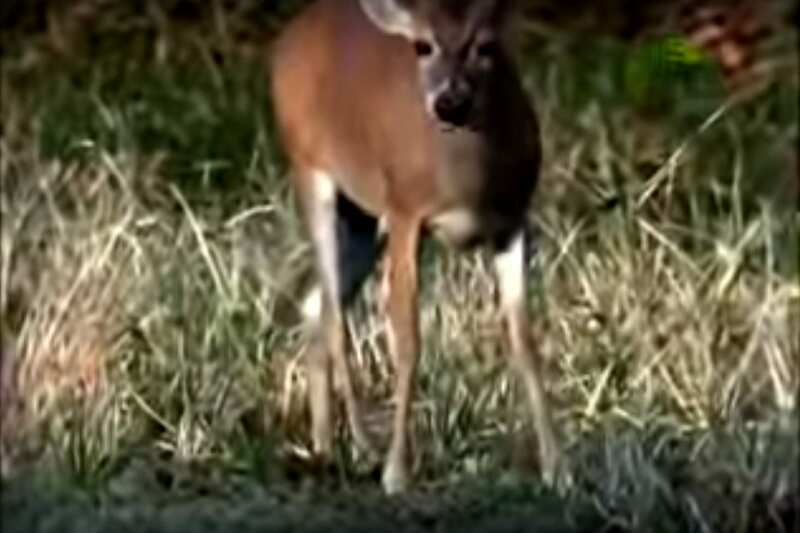 Wanting to make a viral hunting video, he sprayed his body with doe pheromones, hoping to attract the attention of a buck and capture an epic battle on camera. Hunters use doe pheromones to catch the attention of bucks, but the containers specify not to apply it your body. It didn’t end well for Chestnut, but thankfully, he escaped the encounter with only superficial wounds. He certainly got his viral video, though. Footage shows the buck knocking Chestnut to the ground, then attempting to gore him with his antlers while striking at his face and body with his hooves. Chestnut attempted to run, but the buck continued to pursue. He knocked the hunter to the ground again and again, rearing on his hind legs and snorting angrily. 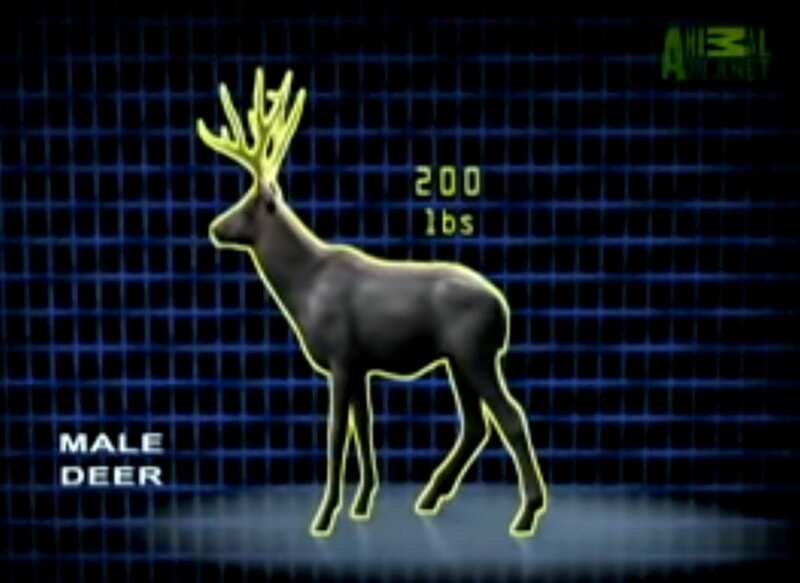 Although they don’t necessarily look like powerful animals, bucks can weigh up to 200 pounds and are covered in raw muscle that they use to deliver sharp strikes. Their main goal is to knock their opponent to the ground, which makes them more vulnerable. As Chestnut and others have learned, it is extremely difficult to escape attacks like these. The best thing to do if you’re spotted by a deer? Make yourself as harmless as possible. Keep your arms and voice down. If the animal decides to pursue, don’t run or drop to the ground. Your best bet is to climb a tree. Whatever you do, don’t antagonize them. These powerful animals look deceptively harmless.